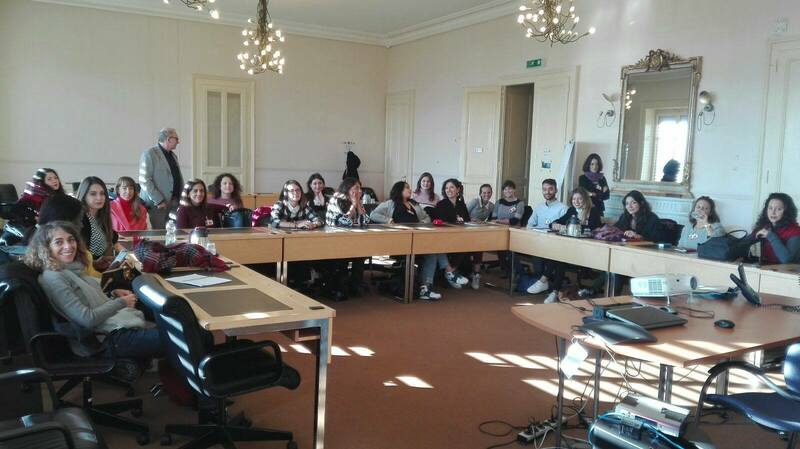 From 17th to 21st September, the students of the Master's Degree in Human Rights and Multi-level Governance travelled to Geneva in order to meet officials of the Office of the United Nations High Commissioner for Human Rights (OHCHR) and of several international organisations. They attended meetings of the Human Rights Council (36th Session) about Myanmar and South Sudan, meetings of the Committee for the Rights of the Child (76th Session), with a particular focus on the Republic of Moldova and North Korea, and of the Committee on Economic, Social and Cultural Rights in an interactive dialogue with Colombia. Students could also take part in side events which ran parallel to the main Human Rights Council session in Palais des Nations. Some of the many International NGOs that attended were Amnesty International, who spoke about Human Rights abuse in Australia, Oxfam International on the Right to Water, Servas International on the topic of Migration: a challenge for Peace?, The Palestinian Return Centre Ltd on Human Rights in Occupied Palestinian Territory, Association pour les victimes du monde about the Kurdistan independence referendum, and many more. The multi-lateral nature of these side events meant that students were able to put their questions and observations to experts in the field, and to actively participate in a stimulating conversation on Human Rights. The MA students had the opportunity to meet UN officials and participate in presentations on the UPR procedure by the Geneva based NGO UPRinfo, and to find out more about the documentation of Human Rights violations with a presentation from Huridocs. They met with Elodie Tranchez of the OHCHR, who spoke in depth about the Treaty Body mechanism and the Right to Water. The visit concluded in a visit to the headquarters of the International Committee of the Red Cross with a seminar on International Human Rights Law and Humanitarian action, and a visit to the interactive Red Cross museum.